By Guest Writer, Marcio Benedetti. Among the biggest benefits of choosing a woman who is organized is the goal-oriented nature they usually possess. Most women who are organized tend to stay that way to reach a goal they have in mind. If a woman has a life of disorganization and chaos, it will be hard for them to view things in an optimistic way. A sense of organization and structure can help a woman maintain a glass half-full mentality. The Five-Factor Model personality test is used to break down what makes up a person’s attitude. In most cases, women who score higher on the compassion portion of this model are generally highly-organized and achievement-oriented. If you are a man who acts a lot on impulse, finding a woman who is organized can actually help to balance you out. Most organized people prefer to play it safe and avoid ideas that are based more on emotion than logic. By sticking with organized women, a lot of aggravation will be prevented in the long run. You may be surprised to learn that many people who identify as perfectionists are very disorganized. Many organized women know when something is good enough to move on. Being able to have a partner who can make decisions without dwelling on things can be a major benefit. For most men, clutter around the home is something they struggle with. Not being able to find anything due to a house full of stuff can create a lot of headaches. An organized woman will be able to remove clutter and get things in order. 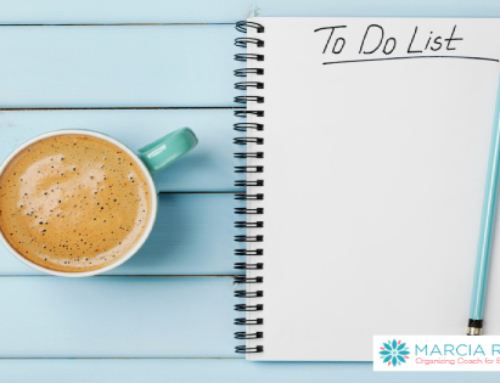 One of the most common ways for a woman to stay organized is by making lists. Being able to have someone help keep track of the ins and outs of your life can be somewhat of an aphrodisiac. Choosing a woman who is organized is essential if you want to stop procrastinating. A woman with a “Do It Now” attitude will give you the push you need to tackle tasks head on. Flying through life by the seat of your pants is great for young men, but preparation is the name of the game for a mature man. Choosing to date an organized woman will teach the art of preparation. Another perk of being with an organized woman is that they usually have far less stress in their life. Learning how to block out the stress of disorganization can make you a healthier and happier person. Marcio, thanks for giving women the boost to get organized and stay that way! I have to say my husband was the organized one when we married and I grew into it. Now in many ways I have passed him up and likewise he is better in some ways as well. We compliment each other and I always say, Rise to the level of the most organized person in a relationship. There’s always room for improvement and we should learn from one another and “up” our own skills if we want to be a growing person.